If the internet has taught us anything, it’s that you should just about never pay the in-store or pure retail price for goods and services. Sure, there are times when you can’t escape these inflated prices, but with the right preparation and some intuitive online investigation, you can save tons of money on just about everything in your life. Car insurances is by no means an exception. Cheap online insurance, specifically cheap car insurance, is literally mere clicks away once you’ve searched for the right keywords and tracked the right consumer blogs. But it’s not just on the shoulders of the insurance providers to make things cheap or affordable. There are things you can do individually to make sure that your cheap car insurance is guaranteed. As consumers, we need to be more responsible not just in our purchases, but also in the behaviors we engage in on a daily basis. If you’re a strictly budgeted individual, safe and sensible routines need to be your way of life to make the savings you want, possible. 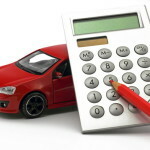 Below are two fundamental tips to help you cut your car insurance costs down. We hope they’re helpful! In an older but still very relevant article, the National Highway Traffic Safety Administration revealed that distraction(s) are the primary cause of vehicular accidents. How primary are we talking? Try 80%. This was back in 2010, and even if the figure has remained the same, this is still a disappointing statistic. Sure, there will be accidents and fender benders that are the result of circumstances completely out of your control – but once you’re in your car, the onus is on you to focus. When you’re taught to drive, you’re taught to operate the vehicle at a basic technical level, but you’re also taught what to be on the lookout for as far as weather, pedestrians and other drivers are concerned. Being a focused driver takes practice, and even those who have been behind a wheel for over 20 years will still say, they take nothing for granted. When you drive safely, not only will some companies reward you for your responsibility, but you’ll be rewarding yourself, your passengers and anyone who comes into your driving path, with longevity – and that’s always a good thing. Another safe and effective way to get cheap car insurance is to consider the process of bundling. Thing about it from another perspective: if you had to go to three separate stores to get the things you need to make dinner, it would end up costing you more – in transit, and in many cases, actual product price. Insurance companies don’t want to miss out on the opportunity to be your exclusive provider of coverage, as such, many auto insurance companies and home insurance companies have joined forces to offer you bundled insurance coverage to take care of you, your car and your home. As such, they are also able to offer you deep discounts on this coverage as a reward/incentive to commit to their all inclusive policies. This may not be the route for everyone, but do some investigation of your own, and you may just come out on top in the savings department.